Printing closed-faced envelopes inline on an inserter allows you to speed up production and increase job profitability while adding value to your product. 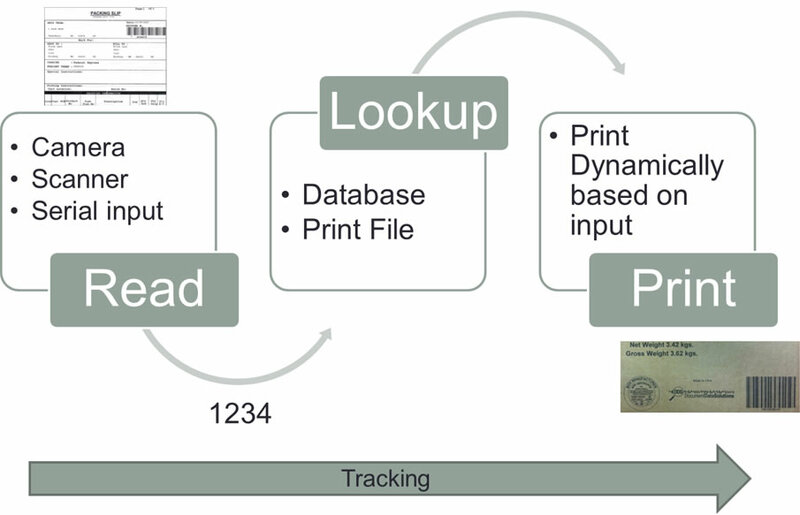 A read & print solution from DDS reads a barcode or OCR string on a control document, performs a database lookup, and sends the result to the inkjet system to print the appropriate information on the envelope. It sounds easy and it is, yet there can be unseen issues that may prevent a given system from working properly. If not implemented correctly, a read & print solution can print the wrong recipient information on the envelope. Going with the lowest priced system may cause you to lose customers and face fines. Some of our competitor’s systems simply rely on the first in/first out method and assume the correct information will be printed. This assumption may have disastrous consequences for your business because if there are any machine issues such as an envelope jam, the system can easily get out of sync resulting in the wrong information being printed. Document Data Solutions puts our advanced encoder-based tracking on all their read & print solutions to make sure we know where every piece is at times thus ensuring the correct information is printed. We also suggest adding an additional camera after the inkjet system for closed-loop verification that the correct information was printed. You may also verify that the IMB is readable and to USPS specifications with the same verification system.